We were very pleased with the quick technical support we received from the KWA team to assist us in developing a whole of factory SysCAD model for a sugar factory. The project required that a few new unit operations in SysCAD be developed and these were quickly provided to us. I'm privileged to be associated with the team at Kenwalt and receive their continued support with flowsheet modelling projects. Syscad is still the best flowsheet modelling software around - and this is due to Kenwalt's tireless software development, with improvements based on customer needs. Over the many years that I've worked with Syscad I've always felt more like a partner than a client of Kenwalt's, and with Kenwalt's collaborative efforts the project outcomes always exceeded expectations. Worsley Alumina Refinery has been using SysCAD for over 10 years. The SysCAD Full Plant Model has been used for plant evaluation of significant capital projects as well as production planning and forecasting. 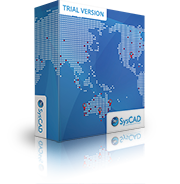 The open design of SysCAD has made it very flexible and easy to configure, significantly reducing engineering time developing and maintaining the HPT test bed. Kenwalt are enthusiastic and passionate about their product and deliver excellent customer service. I was very impressed. SysCAD has provided a robust production planning model that enables us to efficiently simulate production from mine to final product and generate life of mine plans. Over the past 10 years, Kenwalt has consistently responded promptly to customised modelling requests and user support. Global use in diverse range of industries for a variety of applications.